You have added Prairie Princess Crochet Banded Maxi Skirt in White into shopping cart. FINAL SALE. 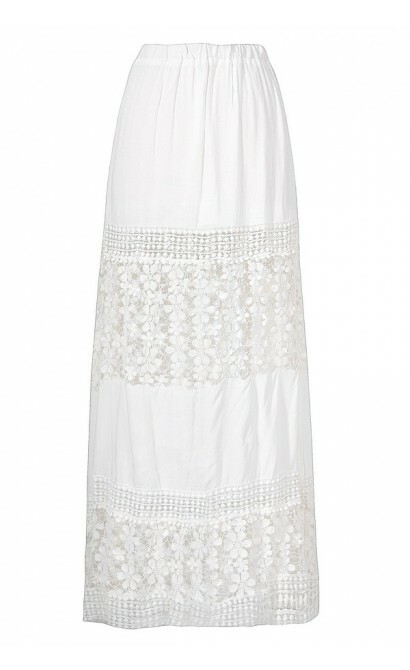 This awesome white maxi skirt with bands of semi-sheer crochet lace will appeal to your inner prairie girl. This is a cute bohemian style skirt that would be perfect to wear on vacation or to a concert or summer festival. The Prairie Princess Crochet Banded Maxi Skirt is such a unique look you don't see every day. 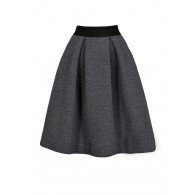 This skirt has an elasticized waistband and is lined at the top but is semi-sheer at the crochet lace panels. Wide vertical bands of floral crochet lace alternate between panels of a gauzy fabric that is perfect for summer. 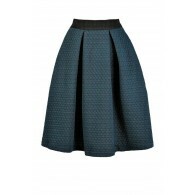 This adorable skirt would look awesome paired with a fitted tee or tank and some dangly jewelry. 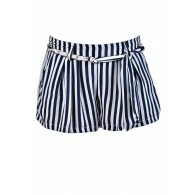 You could also try pairing it with a denim vest or jacket for a pulled together look. Wear this skirt while traveling, on vacation, to a concert or outdoor festival--any time you want to get attention for your casual summer style. Details: 65% polyester, 35% viscose. Dry clean. Small measurements: Length from top of waist to bottom hem: 41". Bust: 28". 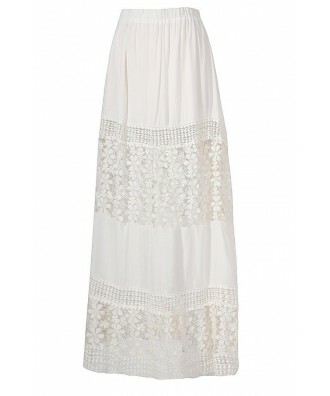 You have added Prairie Princess Crochet Banded Maxi Skirt in White into Wishlist. You have added Prairie Princess Crochet Banded Maxi Skirt in White for Stock Notification. 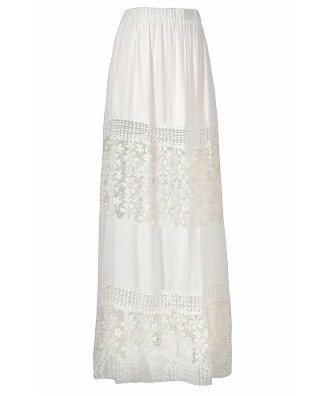 You have set Prairie Princess Crochet Banded Maxi Skirt in White as a loved product. 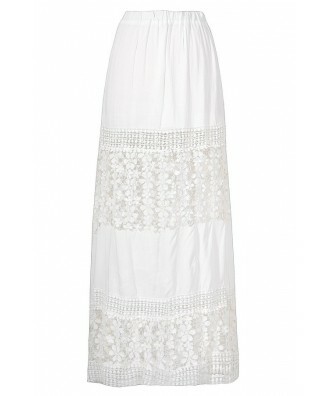 You have removed Prairie Princess Crochet Banded Maxi Skirt in White as a loved product.